Weekly; founded in New York city by J. P. Solomon on Sept. 23, 1881. Solomon has been its sole editor and proprietor. The paper is strongly conservative and of Orthodox tendencies, and has always taken a definite political standpoint, that of the Democratic party. 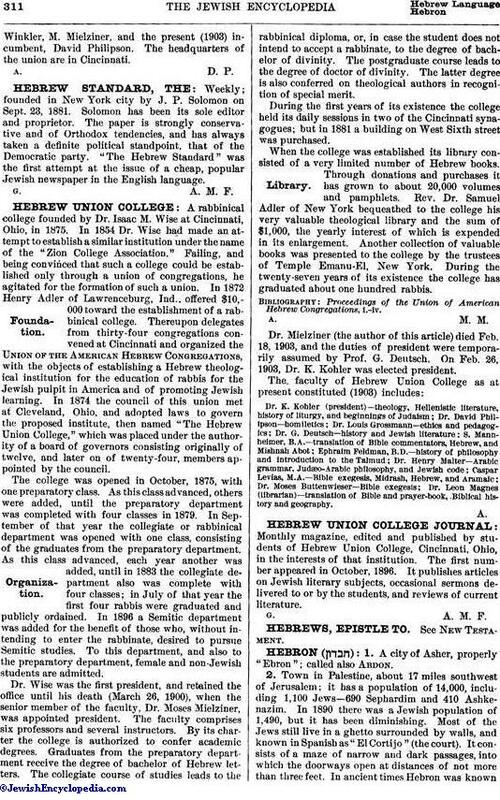 "The Hebrew Standard" was the first attempt at the issue of a cheap, popular Jewish newspaper in the English language.